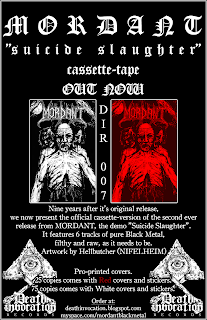 Now available is Mordant "Suicide Slaughter" tape. 25 copies in red and 75 copies in white, all handnumbered. Price is 35 SEK. See the flyer below for more info. Released under license from AGONIA RECORDS. 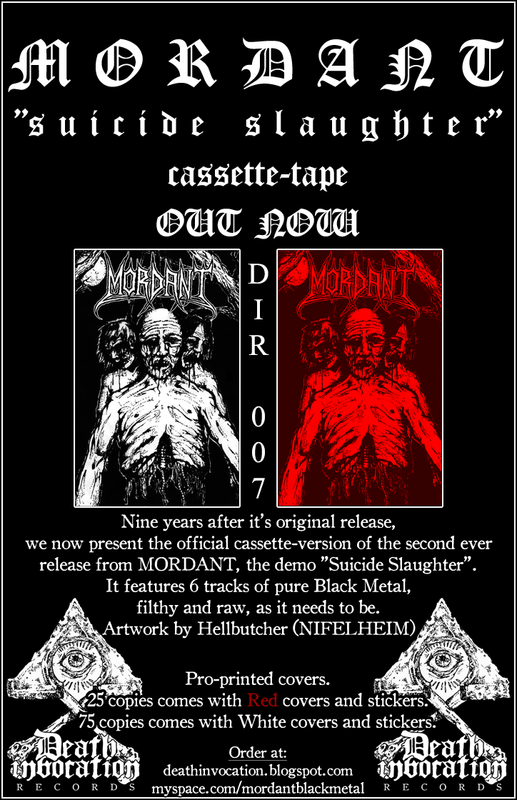 Only 5 copies of Mordant "Back from Hell" left from me. The band will have a few copies also. If you need it, this is your last chance! It's still possible to buy 10xcovers + master of Invocation of Death vol.1, for only 55 SEK + shipping. Please spread the word to your local distributor! Buy Reincarnage "Black Vision" now and get the logo-pin for free..